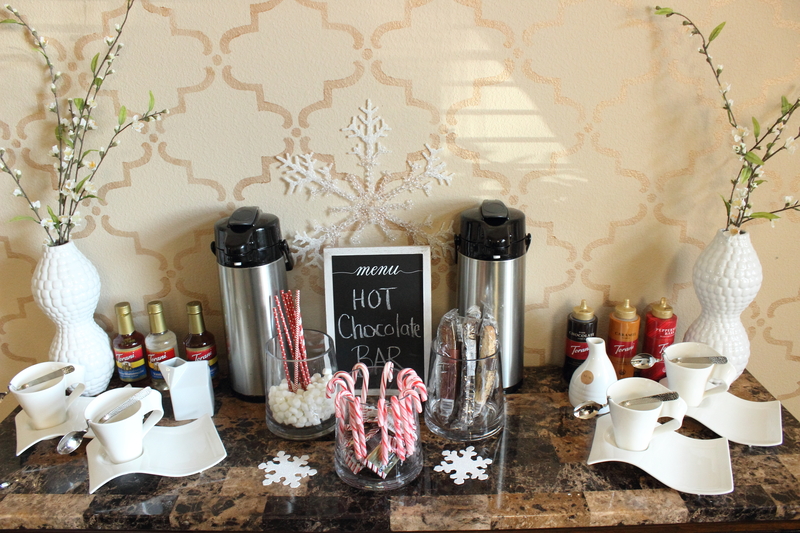 Every winter we set up a Hot Chocolate Bar in our dining room. I mean what’s better when its cold outside than hot chocolate. 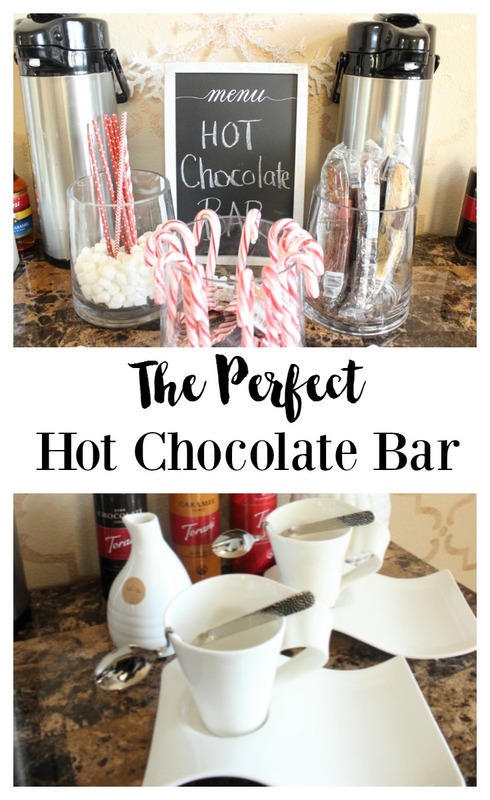 Last year I showed you how I set up a hot chocolate bar for a holiday party, along with my white hot chocolate recipe but today I’m sharing the hot chocolate bar that is permanently set up in our dining room this holiday season. 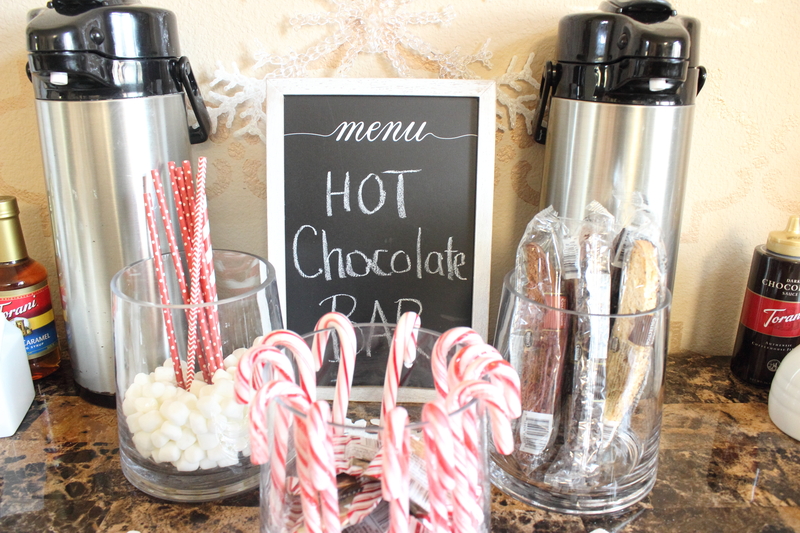 I found this cute menu chalkboard at the dollar spot at Target and thought it was perfect for a hot chocolate bar sign. 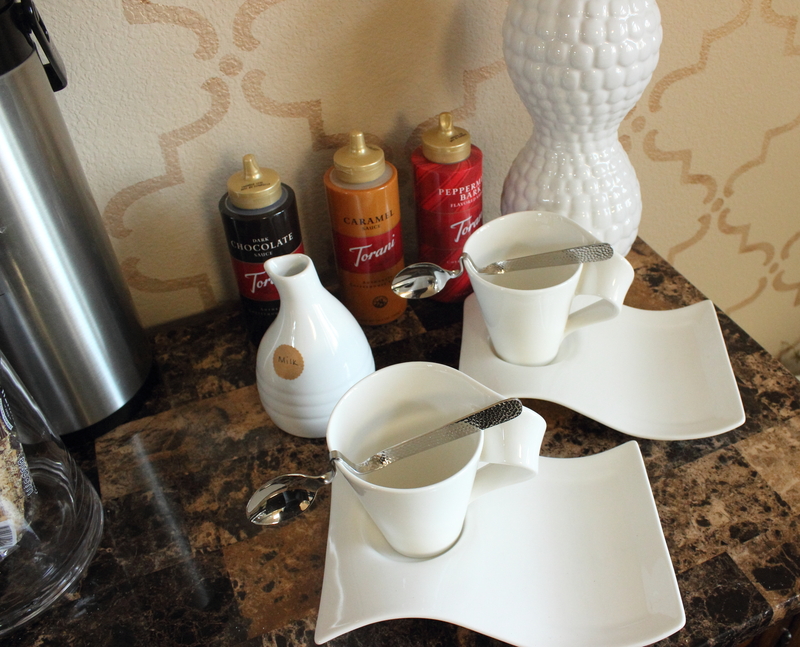 The two beverage containers I got from Ross but you can find them here. They are amazing! they keep the hot chocolate warm forever, seriously the next day its still pipping hot. Now inside the containers we have two types of hot chocolates: milk chocolate and white chocolate. 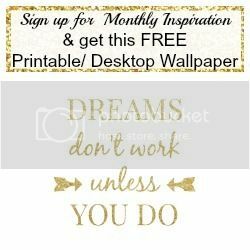 I love these gorgeous mug sets, you can find them here. 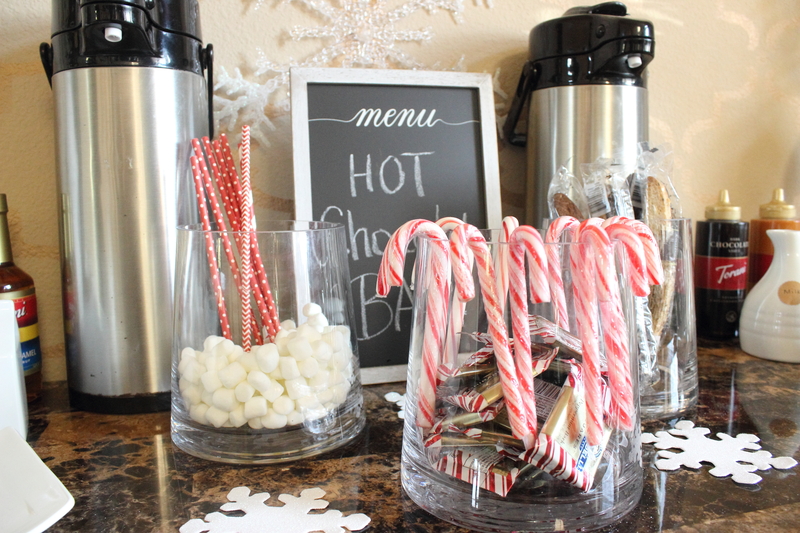 I love how the spoon fits on the mug perfect for mixing all the fixings in your hot chocolate. 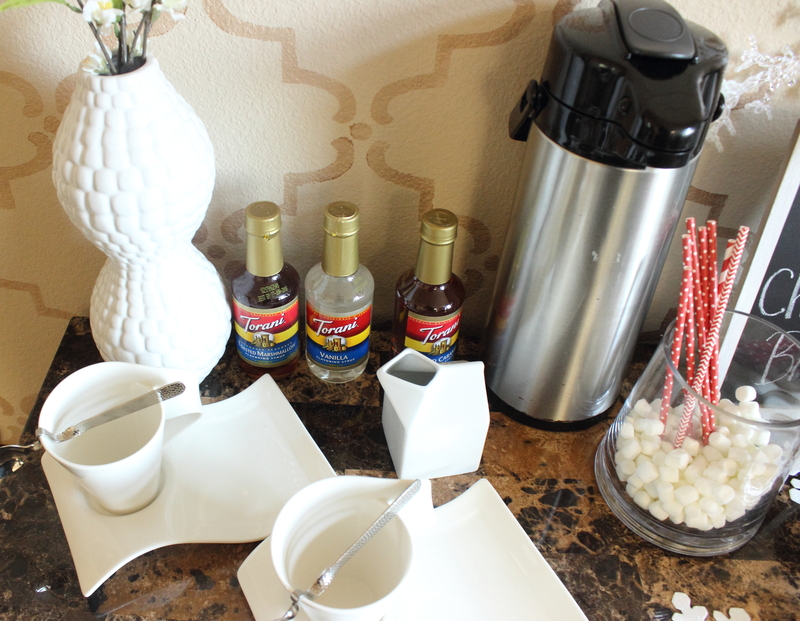 Speaking for fixings, we keep chocolate, caramel and peppermint bark sauces to drizzle on top of the whipped cream. For the adults we have kahlua and baileys irish cream for a little alcoholic kick, these are perfect in the white hot chocolate. 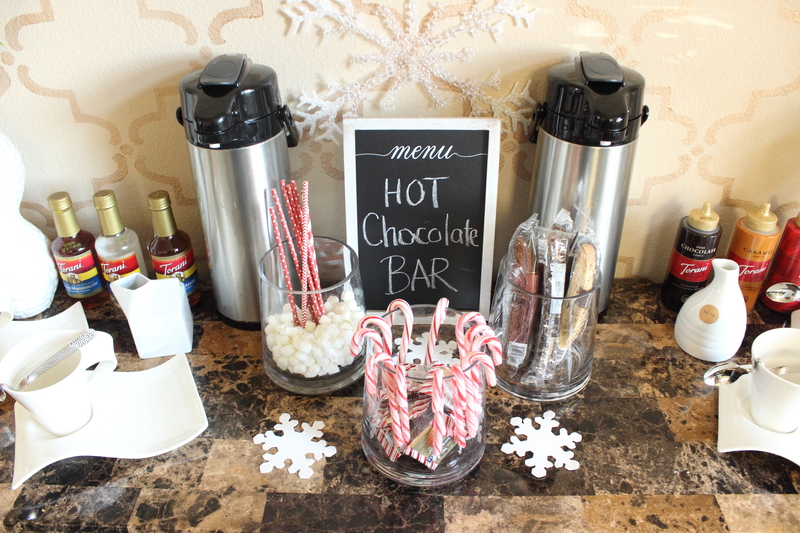 We also have vanilla, toasted marshmallow and salted carmel syrups to add to the hot chocolate. 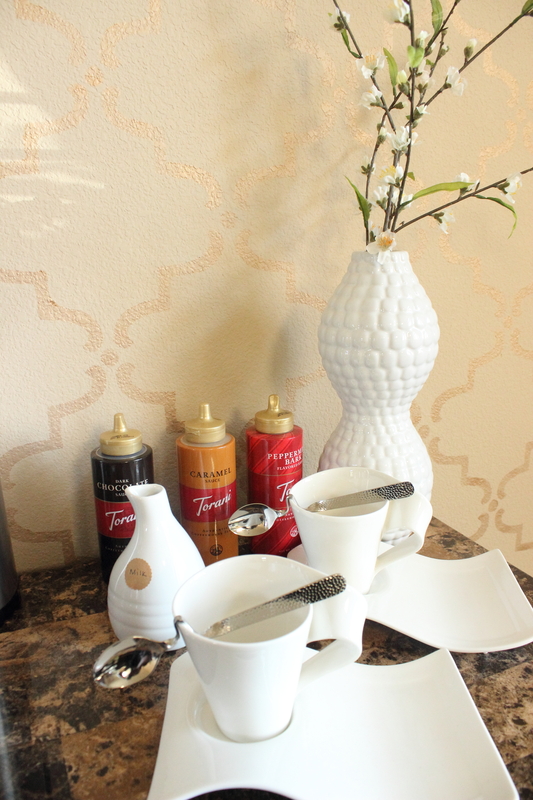 I just used vases to hold some hot chocolate fixings. The kids love drinking their hot chocolate out of cute straws, they also enjoy stealing marshmallows, candy canes and chocolates off the bar as well hehe. Biscotti is perfection dunked in some hot chocolate. Did I mention how much I love this mug set. 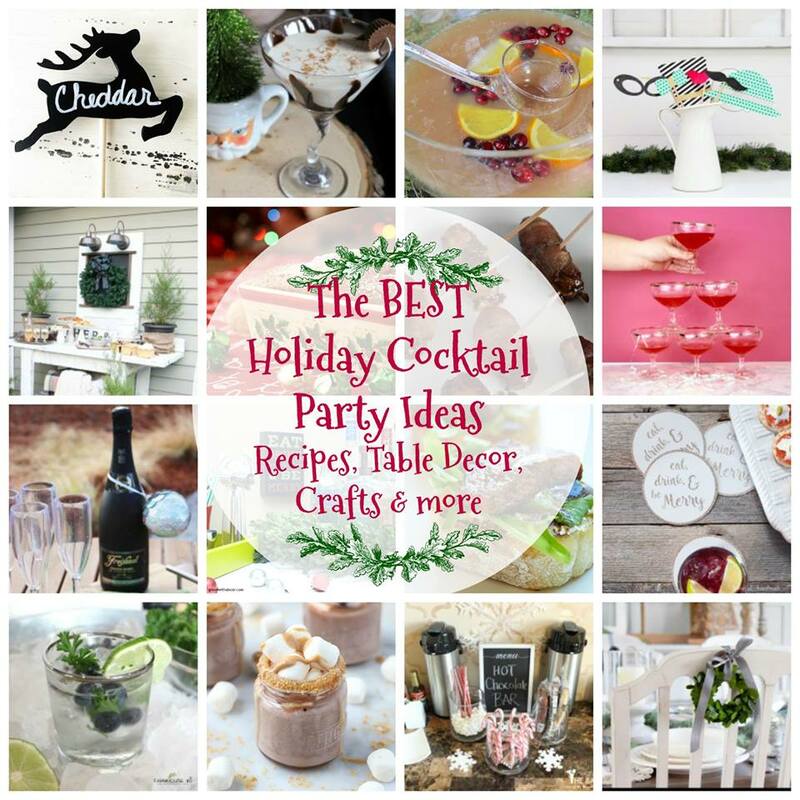 Check out all these amazing Holiday Beverages and DIYs as a part of this Holiday Beverage Party!